This weekend, Bryce is headed to the beach with his family for a week. I'm definitely going to miss him, but have a fun weekend planned! Tomorrow I am going fishing with my dad, cousin, and uncle and am so excited! Sunday I'm also getting some much needed girl time in with one of my best friends, ALG. She has been very, very busy with the start of Physical Therapy school this summer, so any and all time with her is cherished. Finally, I wanted to apologize for the slump over here at Sundresses & Smiles. I honestly feel like I've lost some steam and my posts aren't as interesting as they used to be. I'm working to get back into the groove of things and also am trying hard to keep up with all of your blogs. 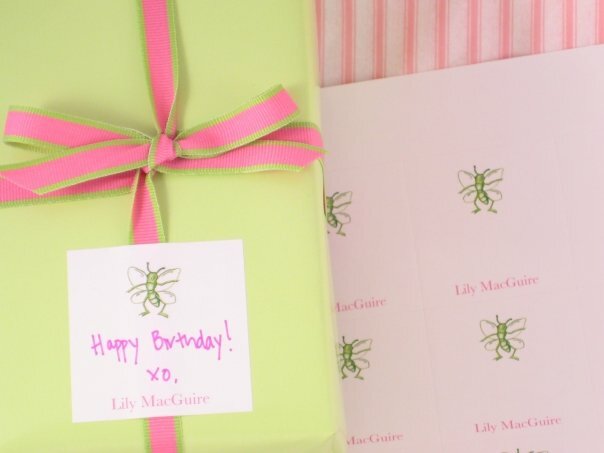 A few weeks ago I was contacted by the Preppy Cards Blog. After reading their email I have been meaning to check out their site and am so glad I finally did. I have quite the collection of stationery and think there is something so special about giving and receiving handwritten notes. Preppy Cards has anything and everything you need to correspond in style! These are perfect for quick, casual notes! These would make gift wrapping a snap! This would be oh so fabulous on my future teacher desk! To check them out, see their website (here), blog (here), or Facebook page (here)! Do you like stationery as much as me? 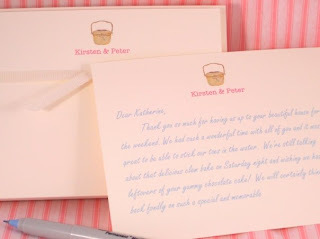 Are you a fan of handwritten notes or are you more tech-savvy and prefer email? 1. I love you two as a couple (you know that because I texted you already). 2. I can't wait to order from this site. It's exactly what I need to add to my already piles of stationary. Yall are so great together, glad things are going so well! 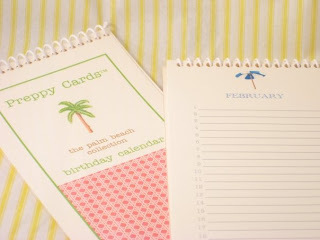 I also love the stationary featured, I'm actually looking for some so I'll check out Preppy Cards. Umm seriously can yall be any cuter together?!! You guys are so cute! I am so happy for you and glad things are going so well! I cannot wait to hear more about this relationship!! Any guy that will take over the cooking and let you get ready is good in my book! My dad always told me that I had to marry a guy who can cook! And the stationary you shared is adorable! I am in need of some new stationary, I am about out of mine! To this day I still love writing hand written thank yous. They are more personable and you get to use super cute and fun stationary! Thanks for sharing! I do love some stationary! It's so cute and just has such potential LOL. Love the pic of you two! He is TOO cute!! You guys look great together! Love the stationary as well, I'm almost out and am in need of some more! Ok...so are yall official yet? Because you two little love birds are absolutely precious! OOOOOMG you guys are the cutest!!! And no, your posts haven't lost any interest at all! You are doing a great job hun! Oh I love stationary and pretty paper anything!! I will def check out the shop you mentioned! Ohh and I LOVE your pink hat! I love this pic, Allie! You look gorgeous and happy! I have waaay too much stationary because I just love love love writing little notes to people for any and all occasions! My guilty pleasure is day dreaming about one day changing my monogram on all of my cards to Mr. C's last name ;) Have a fun weekend! Hey there, thanks for stopping by! I love stationary/cards and adore handwritten notes and I must have those basket notes! Enjoy the weekend, have fun fishing and CUTE pic!! I LOVE hearing about you and the new guy! The two of you look absolutely adorable! It's always great to hear about new relationships. These cards are great and the company is definately worth checking out for stationary. Thanks for sharing! you two are adorable!!!!!! and I love stationary...thanks for sharing!! Yay for a pic of the boy!!! You two are so cute together...and it's always nice to have a little time to miss each other, right? (c: Have a great weekend! Cute stuff! Love your picture, too. You know I love seeing that pony on Bryce, too! We all go thruogh the slump, so don't sweat it. We can't all be 24/7 interesting! Have a great weekend! I know what you mean about a blogging slump. I've definitely been a bit distracted lately and the posts aren't coming to me quite as easily. I figure it goes in cycles though and soon I'll be back to my blogging self! loving those cards! but omg when I saw the small version of that picture of bryce i thought "oh my gosh she met josh turner!" He looks so much like him! Bryce is SO cute, and you guys make such a good looking couple!!! And from what you've told us he sounds like a great person on the inside. He's a keeper :) Sounds like you have a fun weekend planned! Love this site! They have such cute things. I just bought new stationary this morning! I went with a simple ivory flat card with a navy monogram. And yes, I love handwritten notes. You are so cute. I swear! And I loooove a handwritten note! How sweet are the two of you?! I am BIG on hand written notes. I'll be checking out this site for a few new goodies. Thanks for popping by ~ you are so sweet. and i'm loving the glass paperweight! Oh my, Brice is a cutie! You make a very cute couple. I hope the relationship continues to blossom. I love stationary! It is so much more personal. Ca-uuute stationary!!! Omg I love stationary and am so glad other girls out there still enjoy it as much as I do! :) It adds such a personal touch that emails just don't have..
That's Better: Improving Life Every Day! These are really cute. I love flat card stationery and stationery in general. I'm so happy to finally see a photo of you and Bryce - ADORABLE couple!!! I hope you are having a great weekend. I know it's hard to be apart. Long distance is not that fun for me right now... meh. Bryce is adorableeee, Allie! And your posts are not boring at all! Don't worry!! What a cute couple!!! We all lose our oomph occasionally and you will be fine! Just today for example, I adore this line, and love handwritten notes! Bryce is a cutie. I adore stationary. Allie, it's hard to blog with the kids. It really is. My meal-planning link is up. It will be open until 8/15. I hope you share a recipe. I love personalized cards..I got some on etsy but these are super FAB!